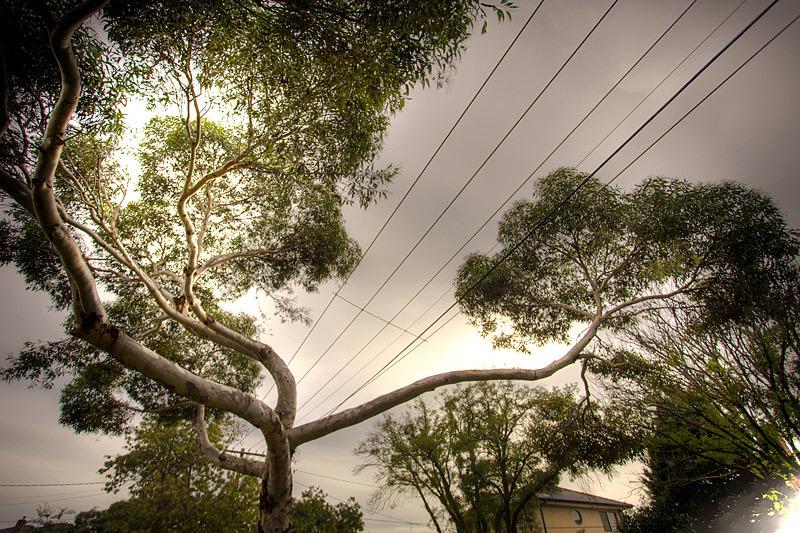 The Country Fire Authority has chosen an image I shot a while ago to illustrate the dangers involved in letting trees grow near powerlines. Just a quick shot whist on assignment and a single frame HDR conversion. Photomatix normally does very odd things to power lines against a sky and this is no exception.